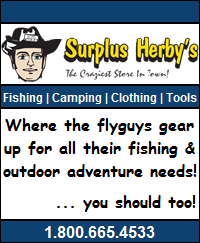 You are Here: Home >> Blog Posts >> Fishing Reports >> Back on Ice! 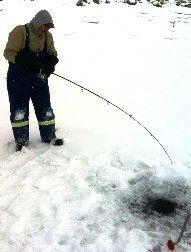 My son Timbre wanted to go ice fishing so we planned a day to go out on Williston. Most of the small lakes have slowed right down but the big lake seems to always produce. Weather report was sunny with cloudy periods, highs around 4C and light winds. In other words a perfect day to park out on the ice and relax! 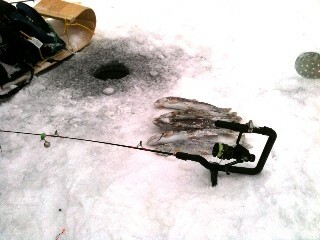 We did manage to get rolling out of the house around 7:00AM and were on the ice drilling holes at 9:20 AM. We went back to where I’d been a couple of weeks before as our mission was to bring back a rainbow dinner. I had told Timbre about how I couldn’t keep them off last time, so as we set our shrimp just off bottom I expected that we wouldn’t be waiting long……..
An hour later and we hadn’t had a tap. The wind that had whipped up, and we thought it was going to clear the clouds, only brought in darker clouds. We were still having fun watching one rod in about 5′ of water for rainbows and my big rod out in 12′ for Bulls. I had just commented that sometimes you wait all day for that one shot at a Bull when the big rod started dancing. 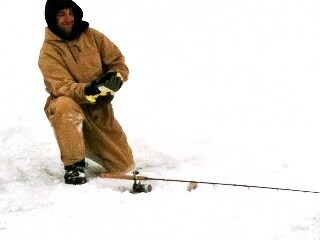 I jumped up, picked up the rod and waited…tap…tap…tap I set the hook and fish on! 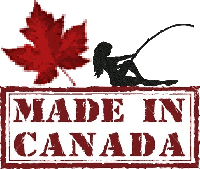 I reeled in, reset my rig and returned to my chair. Timbre looks over and says” one shot eh.” Before I can give him the evil eye he’s out of his chair and grabbing his rod. Up comes a small rainbow. He releases it and is into another one right away, this one is a 14″ keeper. With the big Bully out of the way things started hopping. I moved in shallower, put on a shrimp, and we both started hitting fish. Over the next three hours we caught a bunch of rainbows. Lots were just legal but we ended up keeping 5 nice ones for dinner. Whenever they stopped biting I’d re-rig the big rod out deeper. I hooked and lost a couple more Bulls but nothing as big as that first one. I did finally land a little plump guy. 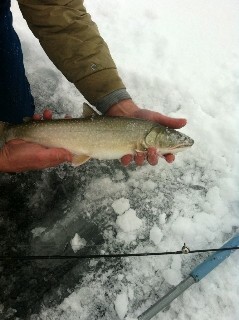 ... a nice Williston lake bull trout through the ice! Never did see the sun or blue sky, in fact it got darker and started to snow. By the time 1:30 PM had rolled around the fishing was done and we were dragging our toboggan back to the jeep in a bit of a white out. 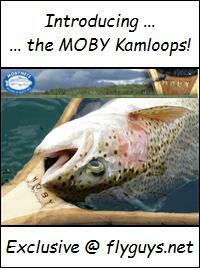 Well that was my last fish on this fishing license and a reminder to get your new license either locally or online. This entry was posted in Fishing Reports and tagged Bull Trout, Flyguys North, Ice Fishing, Rainbow Trout, Williston Lake. Bookmark the permalink.